Comments: This ginger has a beautiful emerald green inflorescence which contrasts with flower colors of other curcumas. The bracts makes deep wells which catch rain water. 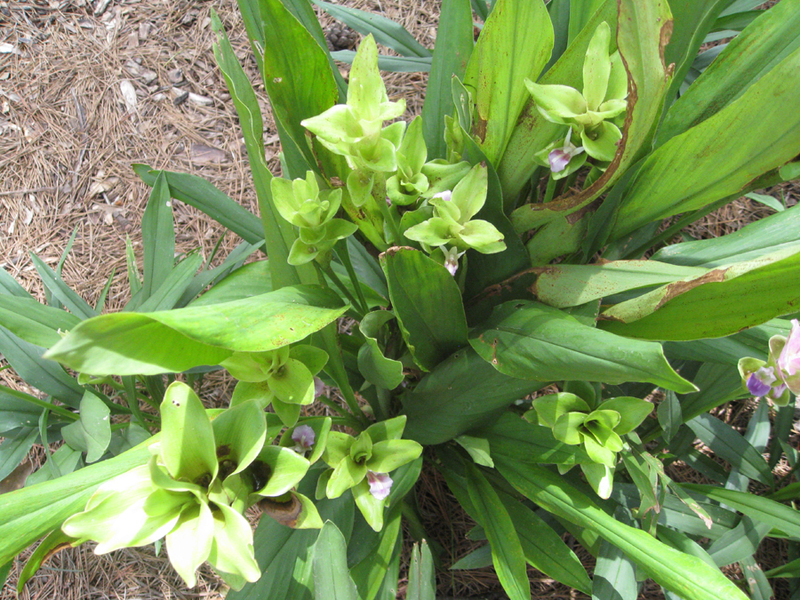 emerald green bracts and small orchid-like light bluish-white flowers. Med. to full sun.